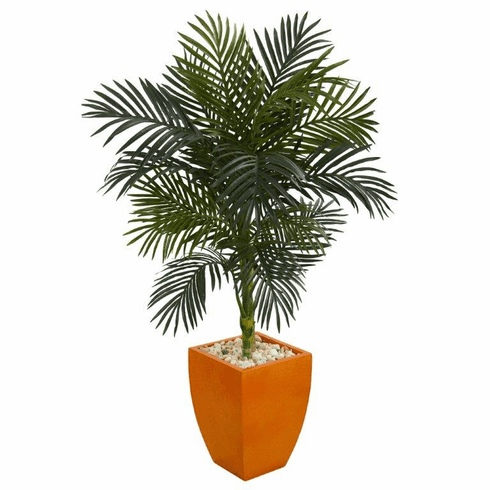 The golden cane palm tree has large, rich fronds that are arranged in a coordinated, but seemingly wild way for a natural finish. It comes in a bright orange square planter with river rocks that just demands attention. Therefore, it's best to place this piece in the dark corners of your bedroom to brighten up the entire room. Size: Height: 4.5 Ft., Width: 33 In., Depth: 33 In.